Funeral services will be conducted at 2pm on Sunday, January 13, 2019 from the chapel of Taylor Funeral Home with Bro Tim Farris officiating. Interment will follow in Dickson County Memorial Gardens. 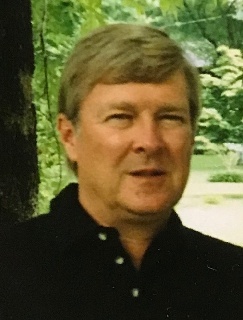 Larry Leamon Myatt – Age 67 of Dickson passed away peacefully at Humphreys County Nursing Home in Waverly. Mr. Myatt was born on Decemeber 18, 1951 in Howenwald, TN to the late Leamon Delbert Myatt and Dorothy Vernell Smith Myatt. Larry was always a hard worker and when he wasn’t working at DuPont, he spent most of his time working in the yard. His favorite place to be was outdoors. Larry’s favorite hobbies consist of racing , Tennessee football and squirrel hunting. Larry was loved by many. He would do anything to help someone and he never met a stranger. He was a loving husband, father and grandfather ( Pa Pa) to his family. He will be missed dearly and he was loved more than he could have ever imagined. Mr. Myatt is survived by his wife, Judith Carol Myatt whom he married in 1972; sons, Derrick Myatt and Nathan Myatt; daughter, Angela Spann (Dewayne); grandchildren, Brittany Spann, Ashlyn Spann, Drew Myatt, Dylan Myatt, Trenton Myatt and Emery Myatt; sister, Vickie Covey.